Just because it’s Labor Day weekend doesn’t mean you have to be laboring around in the kitchen. Try one – or more – of these easy recipes. With the time you save, you’ll have plenty of opportunity to put your feet up and relax this holiday weekend. 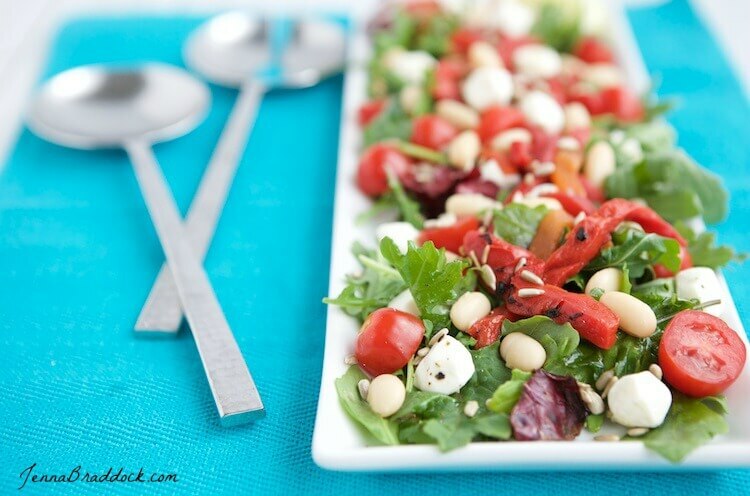 Made with a store-bought base, this salad is a crowd-pleaser. Tasty toppings like beans, seeds, mozzarella and roasted red peppers take things up a notch. 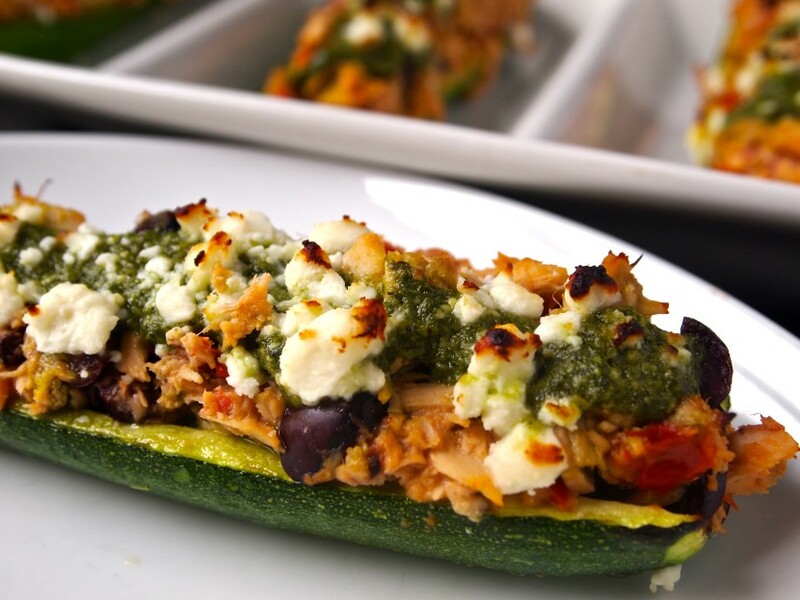 For a one-stop meal, these zucchini boats are perfect! They’ve got plenty of delicious Mediterranean flavors – including pesto, feta, tomatoes and kalamata olives. For a side dish, this couldn’t be easier – or more tasty! Simply toss the ingredients together and throw it in the oven. 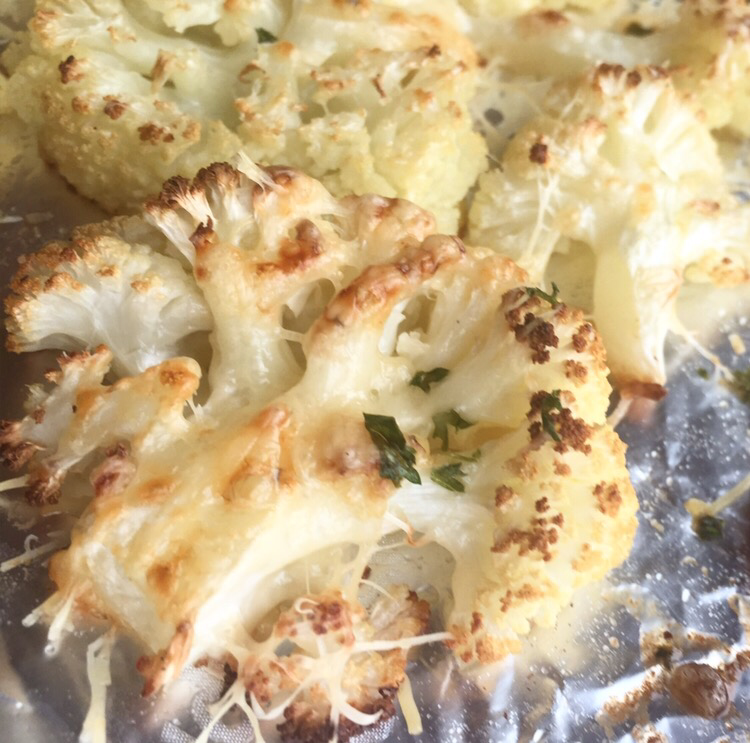 Within 40 minutes, you’ll have delicious lightly browned and cheesy cauliflower. 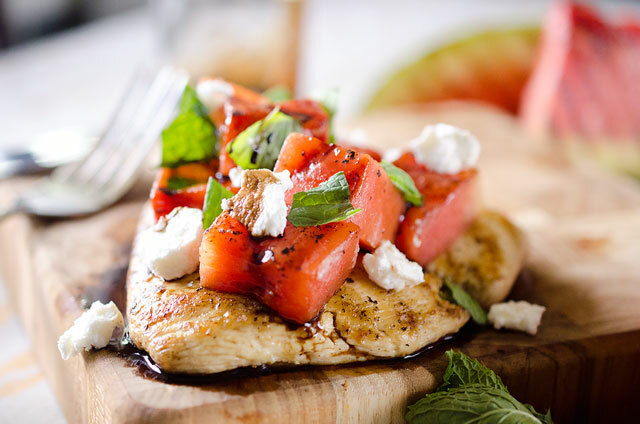 Use up the last of the summer watermelon with this delicious chicken dish, topped with grilled watermelon, goat cheese, mint and a balsamic drizzle. Don’t put away the grill just yet! 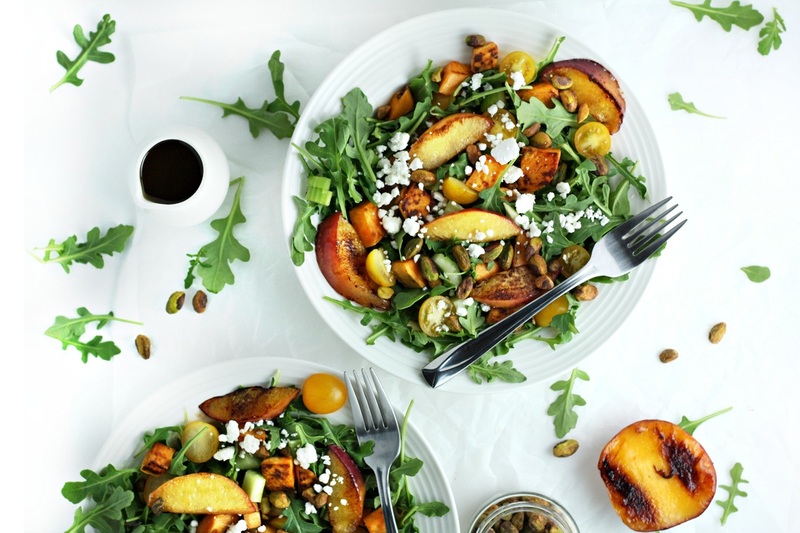 Try this delicious summertime salad with sweet grilled peaches and sweet potato, sharp goat cheese and spicy arugula, all tossed in a homemade honey and balsamic vinaigrette. For a delicious, quick meal-in-a-bowl, these Moroccan Chicken Bowls are a top pick! 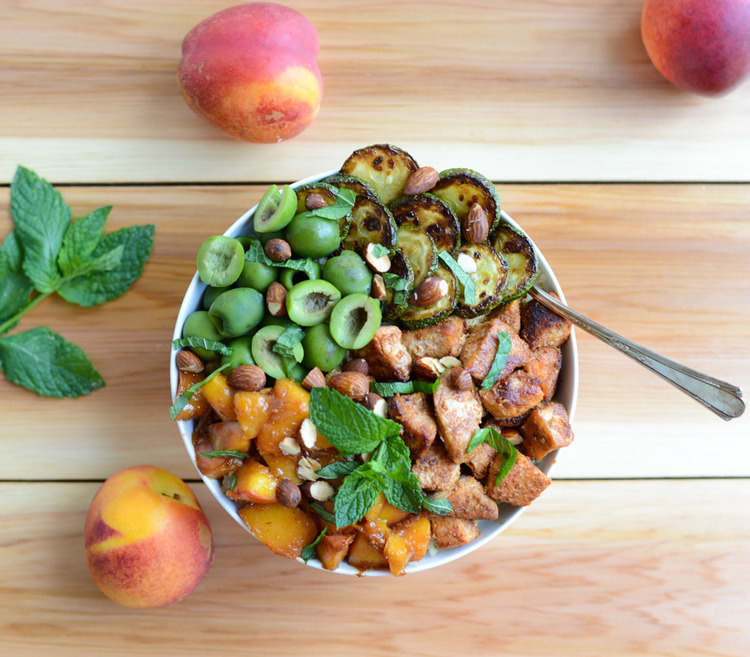 The spicy chicken is balanced perfectly by the sweet nectarine sauce. This slow cooker recipe is awesome for when you arrive home to a homemade dinner! 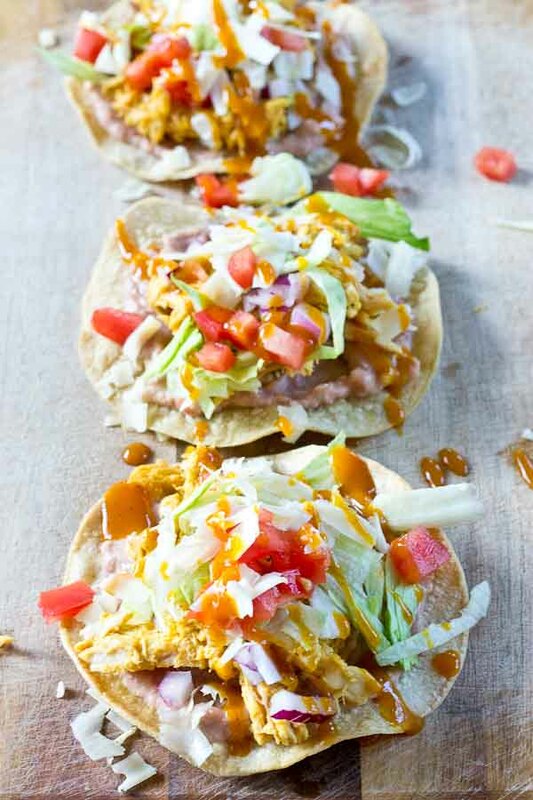 These tostadas are protein-packed, plus offer plenty of tasty veggies for a well-balanced meal. This entry was posted in Recipes and tagged healthy recipes, labor day, recipes, summer on September 2, 2015 by TeamBooya.